Eco-Business is the leading media organisation serving Asia Pacific’s clean technology, smart cities, responsible business and sustainable development community. It produces independent journalism on critical sustainable development issues of the day, which attracts an ever-growing audience across the globe. Our content and marketing offerings deliver local and international brand building, lead generation, and sophisticated thought leader positioning. These include sponsored content, banner advertising, EDMs, annual partnerships, event coverage, e-newsletters, podcasts, social media campaigns, video production, documentaries and custom publishing. Eco-Business also offers research and consulting services that help businesses gain a deeper understanding of their markets and the issues most relevant to them. We create sustainability-related events and organise bespoke high-level roundtables for our clients. These events facilitate progressive and open dialogue on targeted issues and give our clients vital personal contact with key industry stakeholders, enabling them to build influence and generate more business. Our platforms and services include the award-winning Eco-Business.com site, custom publications, market research and whitepapers, multimedia production, consultancy, training and high-impact bespoke events catered to deepen discussions on sustainability. We are a sustainable social enterprise that helps Asia Pacific’s businesses along an environmentally and socially responsible, low-carbon path. We educate and advocate on sustainable development. We remain committed to help businesses, governments, NGOs, research institutions and think tanks get their stories published and read by a wider audience by providing platforms for them to share ideas and best practices, advance public awareness and stimulate debate about sustainable development. ‍Find out more about us here. Jessica is the founder and Managing Editor of Eco-Business, an award-winning journalist, TV presenter, director, producer, and a social entrepreneur. She has more than a decade of experience in media, journalism and sustainable development and is a columnist for print and digital publications such as The Straits Times and TODAY. She is on the Board of Directors of Singapore-listed ComfortDelGro, one of the world's largest land transport companies, and is an independent and non-executive director. She serves as Strategic Advisor to Blue Planet Environmental Solutions, and is founding Director for Embodhi (Singapore), a non-profit for women empowerment in Asia. She is also an associate member of the Singapore Institute of Directors, and currently chairs the Climate Action SG Alliance – an initiative supported by the Ministry of Environment and Water Resources to advocate climate action and raise public awareness on climate issues. A Singapore Press Holdings scholar, she has won many journalism awards, including the Earth Journalism Awards at the UN climate change meeting in Copenhagen in 2009. In 2015, she received the Sustained Environmental Reporting by a Journalist Award at the Asian Environmental Journalism Award for her efforts in contributing to environmental journalism over the last decade. She is the published author of 'Forging a Greener Tomorrow: Singapore's journey from slum to eco-city'. She is also an adjunct research associate for the Centre for Liveable Cities, a Singapore think tank focussed on creating and sharing knowledge on liveable and sustainable cities. She works on producing, presenting and directing documentaries. 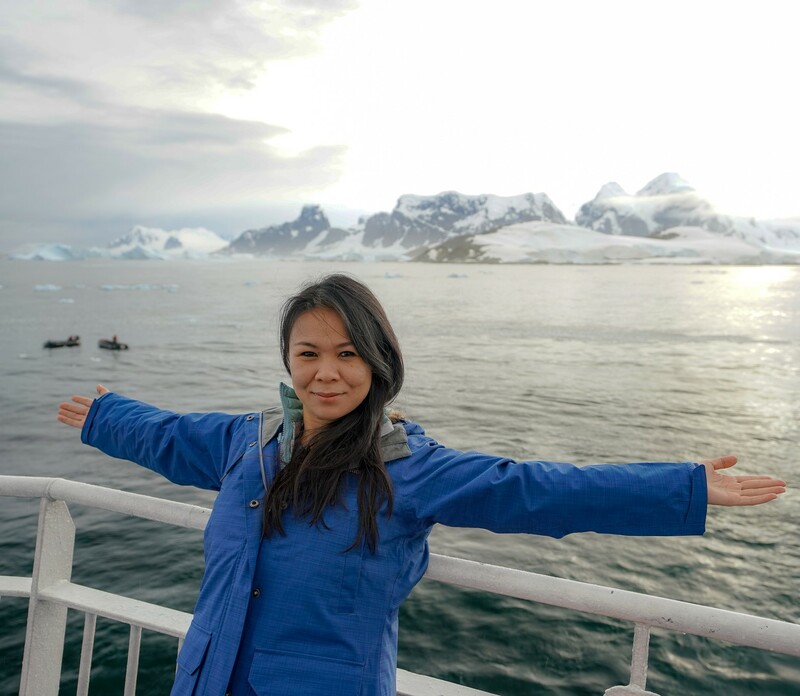 In 2017, she won an award which took her on the ClimateForce 2018 expedition in Antarctica in Feb-Mar 2018, where she worked on an Eco-Business documentary, From Asia to Antarctica, and a separate one for Channel NewsAsia. In March 2018, she was announced the winner of the Women of the Future Southeast Asia Awards for the media and communications category. She was also named as one of LinkedIn's Power Profiles for Singapore for 2018. Fraser is an award-winning self-shooting producer/director, development producer, journalist and writer. He has produced and directed documentary, news, commercial and brand shoots in countries around the world: Australia, China, France, Japan, Korea, Malaysia, Singapore, India, Indonesia the Philippines, Scotland, Taiwan and Thailand to name a few. He has produced, directed and filmed documentary and branded commercials for some of the world’s biggest brands. 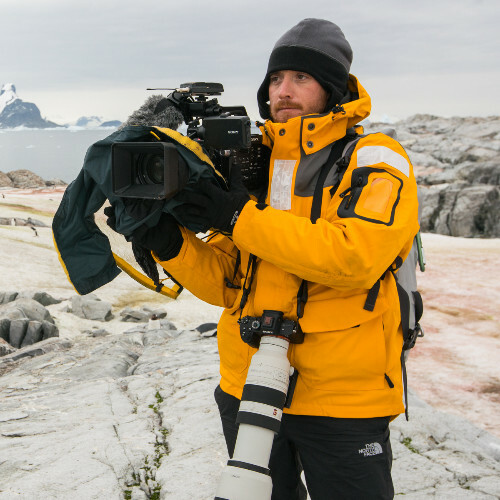 His speciality is working fast in remote locations and in factual content for digital and broadcast. A former news producer with ESPN and Fox, Fraser is an experienced interviewer and reporter. His key skills are finding and developing series ideas and stories and finding exceptional real characters with great stories. As a self-shooting director, he’s adept at getting the best from talents on camera and fusing an artistic visual documentary style with strong narrative skills. 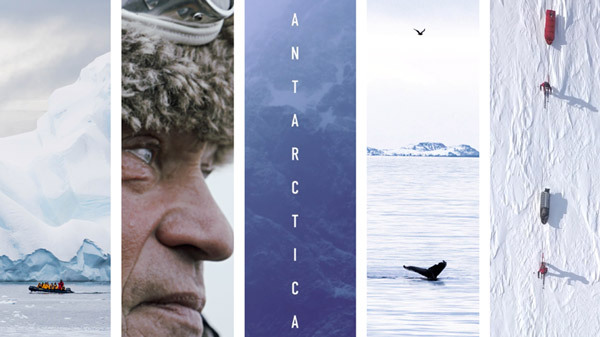 He is the founder of Far Features, which produces multimedia documentary in film, photography and words for the world’s leading media and selected brands.